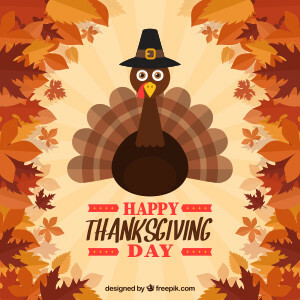 November 23, 2017 by Michael Kilgore·Comments Off on Happy Thanksgiving! Current US law extends copyright for 70 years after the date of the author’s death, and corporate “works-for-hire” are copyrighted for 95 years after publication. But prior to the 1976 Copyright Act (which became effective in 1978), the maximum copyright term was 56 years—an initial term of 28 years, renewable for another 28 years. Under those laws, works published in 1960 would enter the public domain on January 1, 2017, where they would be “free as the air to common use.” Under current copyright law, we’ll have to wait until 2056.1 And no published works will enter our public domain until 2019. The laws in other countries are different—thousands of works are entering the public domain in Canada and the EU on January 1. The books above are but a fraction of what would be entering the public domain on January 1. Imagine them being freely available to students and teachers around the world. Readers interested in iconic stories of courage in the face of racial injustice, or middle class America in the late 1950s, or just great literature, would have something to celebrate. In the current political climate, Shirer’s work, and also those of Hayek, Bell, and Schlesinger, might provide food for thought. And Dr. Seuss’s beloved books would be legally available for free online for children (of all ages). You would be free to use these books in your own stories, adapt them for theater, animate them, or make them into a film. You could translate them into other languages, or create accessible Braille or audio versions.2 You could read them online or buy cheaper print editions, because others were free to republish them. Empirical studies have shown that public domain books are less expensive, available in more editions and formats, and more likely to be in print—see here, here, and here. Take, for example, The Conscience of a Conservative by Barry Goldwater—like the works listed above, it was published in 1960; but unlike those works, it’s in the public domain because the copyright was not renewed. You can legally download it for free, and the purchase price for an eBook is $0.99, instead of $10 or $20. Imagine a digital Library of Alexandria containing all of the world’s books from 1960 and earlier, where, thanks to technology, you can search, link, annotate, copy and paste. (Google Books has brought us closer to this reality, but for copyrighted books where there is no separate agreement with the copyright holder, it only shows three short snippets, not the whole book.) Instead of seeing these literary works enter the public domain in 2017, we will have to wait until 2056. Consider the films and television shows from 1960 that would have become available this year. Fans could share clips with friends or incorporate them into homages. Local theaters could show the full features. Libraries and archivists would be free to digitize and preserve them. Here are a few of the movies that we won’t see in the public domain for another 39 years. It’s Now or . . . 2056? Under the law that existed until 1978 . . . Up to 85% of all copyrighted works from 1988 might have been entering the public domain on January 1, 2017. That means that all of these examples from 1960 are only the tip of the iceberg. If the pre-1978 laws were still in effect, we could have seen 85% of the works published in 1988 enter the public domain on January 1, 2017. Imagine what that would mean to our archives, our libraries, our schools and our culture. Such works could be digitized, preserved, and made available for education, for research, for future creators. Instead, they will remain under copyright for decades to come, perhaps even into the next century. Perhaps the most troubling aspect of the current copyright term is that in most cases, the cultural harm is not offset by any benefit to an author or rights holder. Unlike the famous works highlighted here, the vast majority of works from 1960 do not retain commercial value,5 but they are presumably off limits to users who do not want to risk a copyright lawsuit. This means that no one is benefiting from continued copyright, while the works remain both commercially unavailable and culturally off limits. The public loses the possibility of meaningful access for no good reason. You can read more about the current costs associated with orphan works—works that are still presumably under copyright, but with no identifiable or locatable copyright holder—here and here. Importantly, the US Copyright Office has been engaged in efforts to find solutions to the orphan works problem. However, unlike other countries, the US has not enacted any such solutions. The Public Domain Day 2017 web pages by Duke University’s Center for the Study of the Public Domain are licensed under a Creative Commons Attribution-ShareAlike 4.0 International License. I’m back from a week in Germany, and I know both more and less than when I left home. I don’t have any big stories, but I’ve got lots to ramble about. At the Berlin Wall Memorial, I saw one of the first efforts at geographic restriction on TV, when East Germany told its citizens to turn their antennas away from the west. 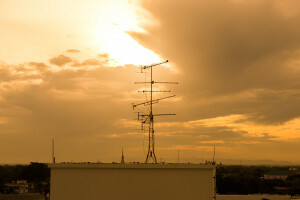 In nearby apartments, I saw normal oval satellite antennas with two LNBs. My budget hotel in Munich served up dozens of the same channels I see on my FTA receiver in the states. I guess those channels are just free anywhere. To watch prerecorded shows, my Tablo also worked well. The wife and I caught up on some of our prime-time storylines the following evening, which was midday Denver time. The Tablo just takes a little longer to sync up before it’ll allow me to watch anything from home. But my true guilty pleasure was watching a couple hours of NFL RedZone live during a Munich Sunday evening thanks to my Dish Hopper 3 and Anywhere app. My previous Sling-loaded Dish receiver had streamed the way a dog walks on its hind legs – enough to surprise friends but not reliably. But this Hopper streamed flawlessly. On the other hand, the Dish Anywhere app now allows subscribers to transfer recordings to phone or tablet for offline viewing. I pulled down a movie, but when I tried to watch it on a plane two weeks later, it said it wouldn’t play without refreshing my permission to watch it. Dish needs to communicate better about those limits. I’m still decompressing, but I’ll always remember watching live Denver weather from a high-speed train zooming from Berlin to Munich. It’s just another minor miracle of the internet age. For reasons that are too involved, embarrassing, and tedious to explain, a lot of the graphics from the old FTABlog have gone missing. The blog theme decorations and layout were also affected. The good news is that the content, those letters and spaces that often make sense, managed to survive. If you’ll recall, FTABlog.com was the home of this blog before the beginning of the year. The name FreeTVBlog explains the purpose and coverage here in a way that non-insiders can readily understand, so I switched to this domain when it became available. I posted a friendly note to explain where to find the latest in free (as in speech) TV news, and just expected that my visitors would make the jump with me. Thanks to Google Analytics, I learned that as the months rolled by, some web surfers continued to show up at FTABlog. This worried me. Did they gloss over the note with the forwarding address? Were they disappointed that there wasn’t any new content on the old site? So I thought I would help them by adding an auto-forwarding page to the FTABlog front door. That sort of worked, but the result somehow locked away all of my old posts and permanently blew away all of the graphics. You know, I don’t think I read the procedure manual right. Thanks to the patient assistance of HostGator tech support, I restored everything but the original layout and graphics. Mostly as a test of concept, I pulled a couple of the last graphics from the Internet Archive‘s Wayback Machine, so if there’s something you really want to see, it’s possibly restorable. Finally, I grabbed all the graphics from FTABlog’s previous host before I moved it years ago. So that’s my mea culpa. 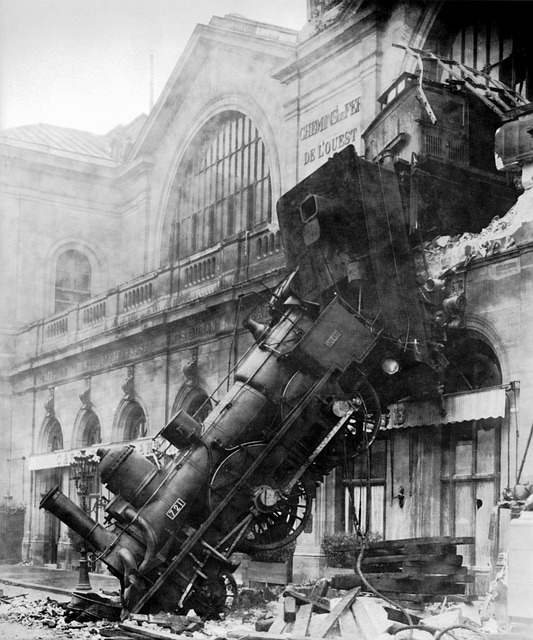 Now I’ve got to go off and run backups for the next time I accidentally run the train through the station wall. Hi there! Welcome to FreeTVBlog.com. This is going to be a fun place to talk about free TV, and I’ll bet you had already guessed that. The rest of this particular post will peel back the layers of this blog’s origin story. You have been warned. This blog is a direct descendant from FTABlog.com, which I set up a very long time ago. 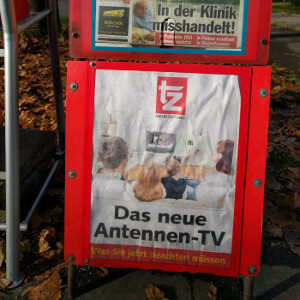 Way back then, there were dozens of amazingly interesting free TV channels available via free-to-air (FTA) satellite, and the blog ran stories about them, from Fashion TV’s coverage of Carnival in Rio to Utah TV station KUEN’s movie night. These days, there are still hundreds of FTA satellite channels available on a medium-sized Ku-band dish, but few are like those general-interest English-language channels. At the same time those great satellite TV channels were drifting away, similar streaming channels began appearing on the internet. Instead of watching a distant CW station from my dish, I could watch it via ivi.tv or Aereo or FilmOn. These new distribution methods kept changing, often shriveling under legal pressure, so they made great topics of conversation. Yet another development was the growth of local over-the-air digital TV, with plenty of new channels to watch. So the emphasis for this blog has shifted from free satellite TV to reflect the wider array of free TV options. An important side-note: Although FTA was supposed to signify the perfectly legal viewing of unencrypted satellite signals, some pirates used the term to mean hacking protected commercial satellite TV. It was as if I had a blog about engraving, then counterfeiters started calling making fake $20s “engraving”. FTAList.com and FTABlog.com have always rejected piracy, which is an objectively poor gamble with significant risk and trivial reward. I mention all of this because according to Archive.org, when FreeTVBlog.com was most recently active, around 2007-2009, it wrote about satellite TV “testers”. That’s definitely not what I have in mind now. You know that you have a bad name when you always have to explain it. Even when I mingled with savvy TV industry types, maybe one person out of 20 would recognize what FTA meant, and another one or two would mistake it for some piracy thing. Instead, this was always meant to be a blog about (legal) free TV, so when this domain finally became available a short time ago, I pounced on it. It’s going to take a little work changing business cards and such, but at least I’ll get to skip the explanations and get right down to business. I hope you enjoy it.